Armorama :: Official: Flak You Two: The Flak is Back! Official: Flak You Two: The Flak is Back! Alright! The next flak campaign is now official with a 1 July start date. Enlist here. We're changing things up a bit in this Flakking campaign by allowing air defense ships (like Aegis) and SEAD/DEAD aircraft (like Wild Weasels) to join. I'm also going to allow fantasy anti-air (Warhammer-ish). Looking forward to another great campaign! I am thinking some real heavy flak is in order. Is this 12,8cm flakvierling OK? It is in roughly 1/48 scale and from the Dust Tactics universe. I still have some A-A model kits to complete, coldwar and modern. I will enlist. Would some infrantry holding/ carrying Fliegerfausts be in OK? Woow! Very cool! 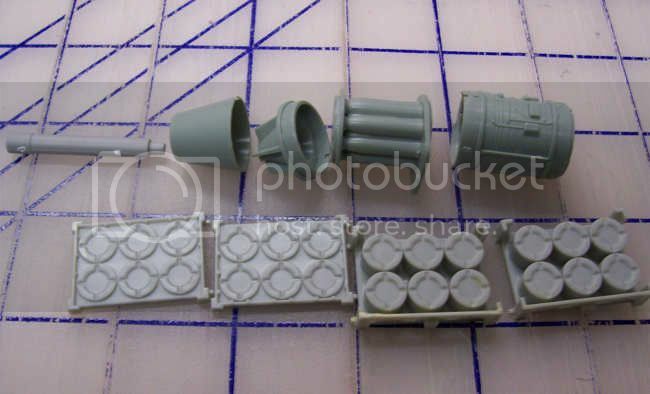 Are these assembled, ready for painting? Chriatian, they are partly assembled and can be put together without glue. However, I always break them apart to clean the parts up for flash and reassemble them. A matter of taste I guess. If it is allowed I will make sure to make updates in this tread often. Wow! Such exciting ideas! This is already taking off better than I had hoped! @Jesper: Very cool and very OK! @Nicolas: I would love to see something with boots instead of wheels. Bring it on! @RedDuster: I wasn't sure if we could actually entice a shipbuilder into this campaign, so I'm ecstatic that you broke the ice. I hope more will follow! Excellent, Mark. Planing is underway already! Wow! That last thing looks like a real modern version... of an old German WWII cargo halftrack or truck carrying an opportunistically- added FlaK gun, or just like any of several WWII contraptions where a gun was added a-top any chassis which still rolled! Completely retro! The gun crew gets to ride around fully-exposed to whatever the weather and the enemy care to provide! Even those Germans tried to shelter the gun crew a little with shields and open-top turrets! So, is that thing "production" or a unit mod or what? My guess is it's a one-off crew mod, given those rusty-looking "cans" the gun-mount feet appear to stand on (or in). It does look cool, however it came to be! I'm in. I'll probably go with something along the what-if-ish line of thinking. Maybe a for export M551 based missile/cannon AAA system. I'd probably kitbash a couple of mostly done kits (Sheridan, Weisel-Ozelot, and Duster) for that if that's allowed. Maybe a German "wonder" particle beam weapon mounted on a tank with some sort of APU. If I can get my hands on a kit. Then I will be game. 1:35 Dragon Flak 38(t) Ausf. M Late Production #6590 is what I have in mind. Hopefully I can find one in the trading section. 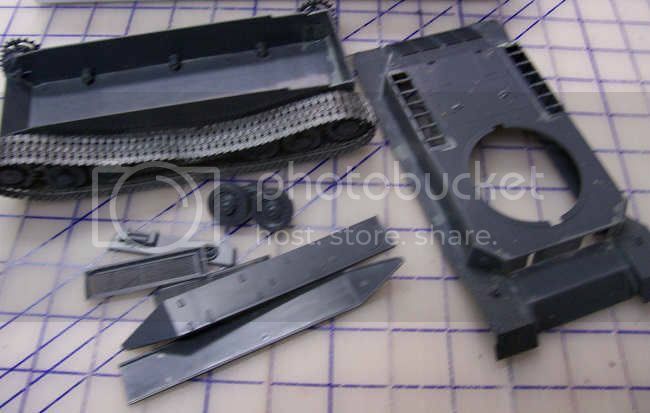 It looks like a fun kit to build after reading the last Flak Campaign. Or maybe even go with a Soviet design. I'll probably go with the German design. 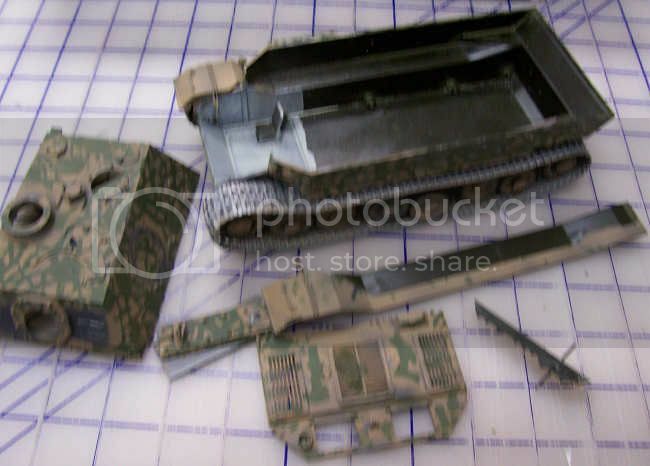 I'll probably use an old partial Italeri Tiger (P) or Ferdinand chassis to mount it on. The actual particle weapon would use a 1/48 engine from a F86 Sabre. Maybe use a Panzer IV as a self-propelled APU to increase rate of fire. You might also check the eBay... these show up frequently and for sometimes very low prices... Also, this kit pops up on Dragonusaonline.com from time to time during their many smaller-sized sales. 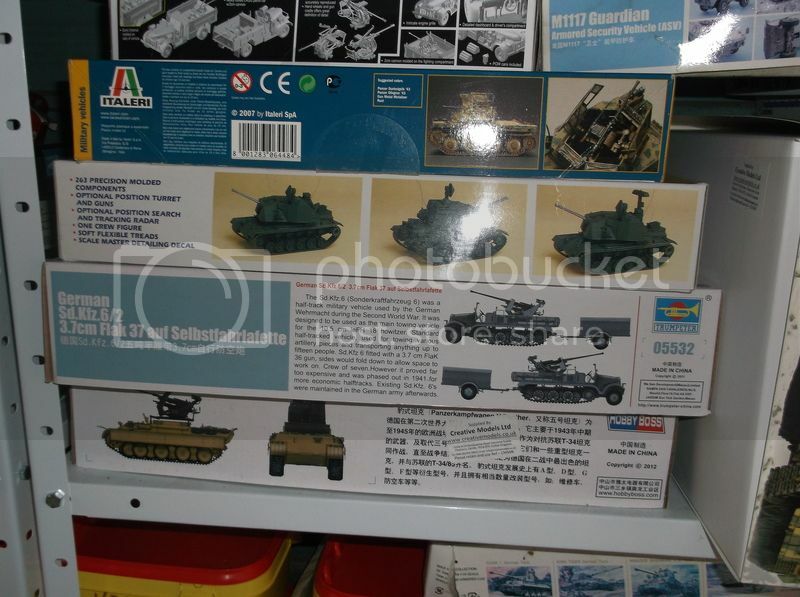 Strange to say, seems more common to see this one than the original Dragon "Gepard" kit at lowered prices - although the "late" kit has the correct sprockets and idlers and correct gun-barrel and the later features on that gun! It's a great kit, IMHO, and I might actually do it HERE! (It's that, or maybe an SdKfz 10/x flak-track... ). I'm not a big fan of the what-ifs for this sort of campaign, but since I've opened the doors to the warhammer crowd it would not be fair for me to say 'no' to what-if's. I do think that using already completed builds to create a frankentank is skirting close to the rule on not starting the build prior to the campaign start date, but in the interest of inclusiveness I'll give you a hall pass on that if the rest of the group are okay with it. Mark - I'm glad to see you support WH and What-if for this. Its all still modelling afterall. Why plan when you can react? Glad to be along, some great prospective builds. I completely understand your concerns. My thoughts on partial builds has always been that they often require more work disassembling and reassembling than a new kit. This is what I'd be starting with. Academy Saber engine. I'd dress it up a bit and make it look like a death ray. Italeri Tiger P hull. Not painted and the turret has been long gone. Or the Italeri Ferdinand. This was one of the first armor kits I ever built. Let me know what you think. If you have any reservations about this idea just say so. It's not going to hurt my feelings. I'll try to pick something else up later on. The funny thing is that I'm actually building a SA-9 Gaskin for the $20 Campaign. All good, Alex. Just make it look nice and flakky. Sadly funny about the SA-9. Timing seems to be everything with these campaigns. 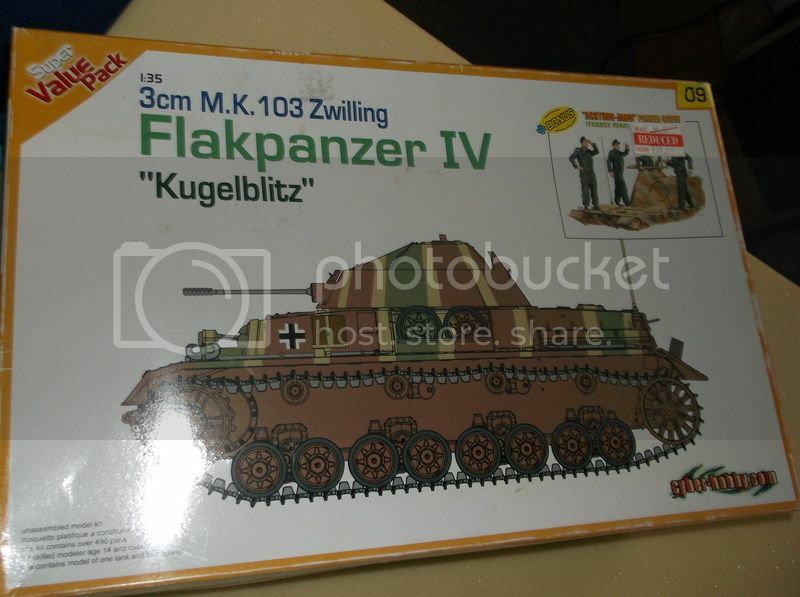 The Flakpanzer I did for the first flak campaign would have worked for three different campaigns I had going on at the same time, and the Hummel I did for the PzIV campaign would have covered another three. Alas, the campaign gods won't allow us off that easily. Just to be safe I might do something else instead. I've got a Meng Hilux with a ZPU-1 and a couple of Academy Humvees. I was thinking of maybe mounting the heavy MG on one of them....maybe as an ISIS or Kurdish vehicle. I have no interest in building the truck with the gun so it's not an issue. I'll have to dig those out and see what I have to work with and how they might build up. Maybe mount it on the back of a cargo Humvee. So... A little clarification? 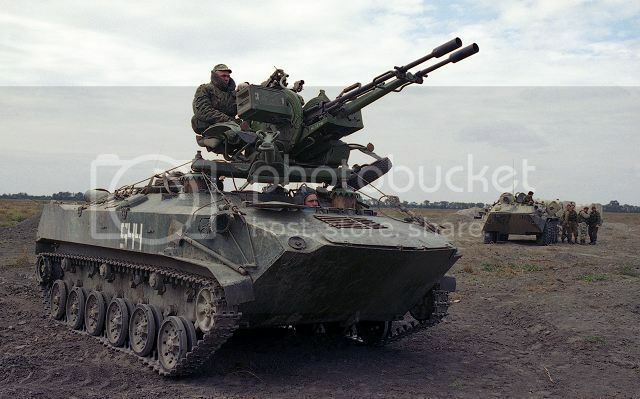 I recognize the lengthened BTR-ZD as a production vehicle, and certainly the twin-mount ZU-23-2 as a production item... but are you saying that there are perhaps 300 of these composite things in actual service, where I am thinking of the composite as being that gun clearly tied on top of the vehicle - with, as you said, sections of sawn logs used as props under the gun-feet? A tied-on gun propped up on logs a-top a personnel carrier may well be effective, but certainly doesn't come across as any sort of production item! So maybe this has turned out to be a rather popular field conversion using some widely-available vehicles and guns? And I do expect it to be a cold job to be the gunner up on top! PS: Where was this picture taken? Anyone know what specific conflict / theater this thing was used in? Any specific unit(s) associated with this conversion?